A fab little find from this summer that I can’t believe took me this long to blog about although you’ll undoubtedly know by now what an enormous KIKO fan I am (Mr. KIKO at your service). 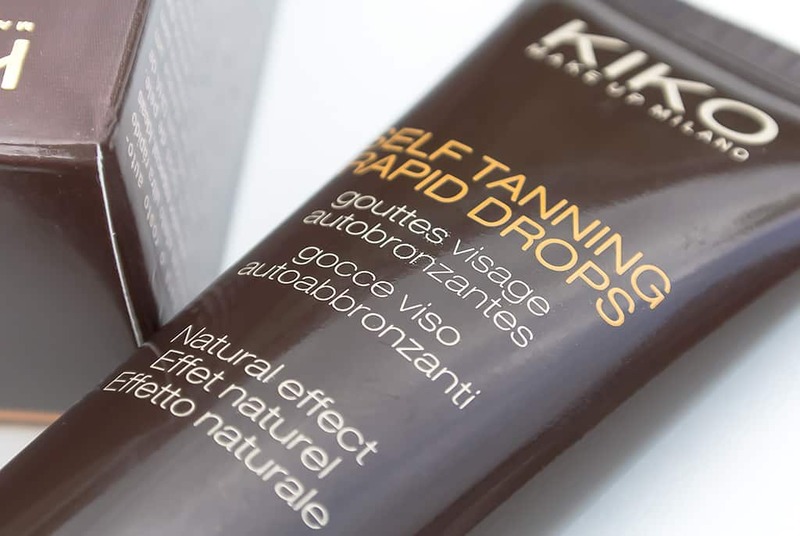 KIKO Self Tanning Rapid Drops are designed to give quick and easy, sunless tanning for face, just by squeezing and applying a small amount and spreading on with your fingers. Despite what KIKO suggest, I actually found that the best way to apply them is to mix it in with your moisturiser in your finger ends and then apply as normal. This gives a really natural colour that develops in a few hours; no streaks, marks or blotches. KIKO Self Tanning Rapid Drops are a steal of a price at just £5.90 a tube and they last for ages. You really only need apply a small amount into your moisturiser, I’d say about 4/5 drops for the whole face. If you find that isn’t enough, do not reapply the product within 24 hours as this will likely send you a bloomin’ odd colour. This article first appeared on MANFACE written by Thom Watson. It was published on Friday 29th November 2013 and was last updated on Monday 3rd April 2017 at 3:24pm. It's categorised under Body, KIKO Cosmetics, Tanning where you'll find more related content.